Have you found yourself recently seeing 444 everywhere you go? It’s on buses, in books, mentioned in conversations that you aren’t even a part of and yet you have no idea why it keeps popping up? In this article we are going to explore this idea as we take a look at the 444 numerology meaning. We’ll take a look at some techniques that are commonly used for interpreting a number such as number reduction and core number exploration. We’ll use these to examine the numerology 444 offers and this will allows us to get an understanding as to why you keep seeing 444. Before we dive straight into the 444 meaning, it’s important that we at least touch on the idea of the numbers themselves. 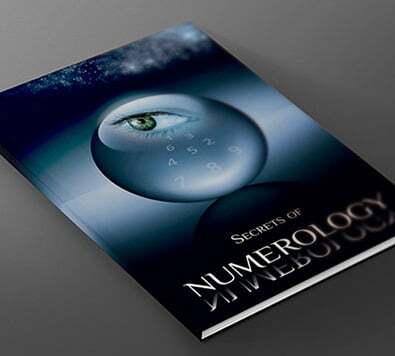 When people first begin to enter the world of numerology, it can be a little confusing. Ultimately, all you need to understand is that each number carries a slightly different vibrational energy or frequency to any other number. Through these varying energies we can interpret messages. These could be related to who we are or what the future may hold for us. There are two main techniques that we’ll use today in relation to 444. Keeping the 444 numerology in mind, we will now take a look at the two main techniques that can be used to better understand any number. The first of these is core number examination. Whenever you have a number that is more than a single digit, you can break it down. So if the number was 123 then you would look at the core number 1, the core number 2 and the core number 3. When looking at the 444 meaning numerology, we have three 4s. The fact that the same number appears multiple times means that the core number meaning is multiplied. The second technique is called number reduction. Similarly to the first technique, we use this only on number greater than a single digit. So to get a better understanding of the meaning of 444, we need to reduce it to a single digit. To do this, we combine the numbers until they are only one digit. 4+4+4 gives us 12 which of course is still a double digit. We simply repeat the process again: 1+2 which gives us 3. We now know that to fully understand the 444 meaning, we need to consider the appearance of the number 4 three times as well as the number 3. The core number 4 relates to foundations. Imagine that you’re building a house. In this house you hope to one day raise a family, host parties with friends, stay sheltered from the weather, and relax whenever all your work is complete. If you started to build this house without first building foundations then it wouldn’t survive long enough for you to experience any of those things. This is the reminder that the core number 4 wants to bring your attention to. Instead of rushing into any of your goals take some time to plan the necessary steps. With that in mind, the core number 4 also relays positive energy. You could view this as a sign to remain in a positive frame of mind or you could view it as an encouragement that what you’re doing is helping to bring balance to the Universe and ultimately, positivity is coming your way. Some people will be able to view this core number as a small thumbs up from the Universe itself. Don’t forget to keep being responsible though, especially while laying your foundations. Keep this in mind when considering 444. The number 3 adds a few extra layers to the meaning of 444. This core number carries vibrations that can only be interpreted as relating to inner wisdom. Don’t allow yourself to forget that you’ve got more life experience than you may realize. If you’ve been on this planet for a couple of decades or more then everything you’ve learned is somewhere inside your head, it’s just a case of accessing it. Trust your gut instinct in times of uncertainty as it could be your mind giving you the answer. We can now take a look at 444. Finally, we can take a look at the overall meaning that the number 444 is relaying to us. We’ve taken a look at the core number 4 and found messages relating to planning and positivity. The core number 4 appears three times within this number and so we know its message is important. However much planning you think you’ve done, whether it be for your goals, a holiday, work, a relationship, whatever it is, you haven’t done enough. Go back to the drawing board and approach the entire idea from a new angle: look for holes, see what areas need improvement, what variables might you have forgotten to consider? Of course we can’t forget the important messages of positivity. You’re being reminded that while you do need to carry out more planning, you are still on the right track. Whatever your destination, you’ll get there provided you keep up the work. If the number 4 on its own was one thumbs up, the number 444 is three! Of course as we explore the meaning of 444 we still have to consider its interaction with the number 3. It’s a reminder to rely less on the knowledge of others and instead to trust in your own knowledge a little more. It’s possible that you may keep seeing 444 wherever you go. If that’s the case, then whatever you’re doing just isn’t working. That’s why it is always important to approach a problem from different angles. Whenever you see 444, take a moment to think about what was going through your mind. If it was an idea, then you should focus on this idea.